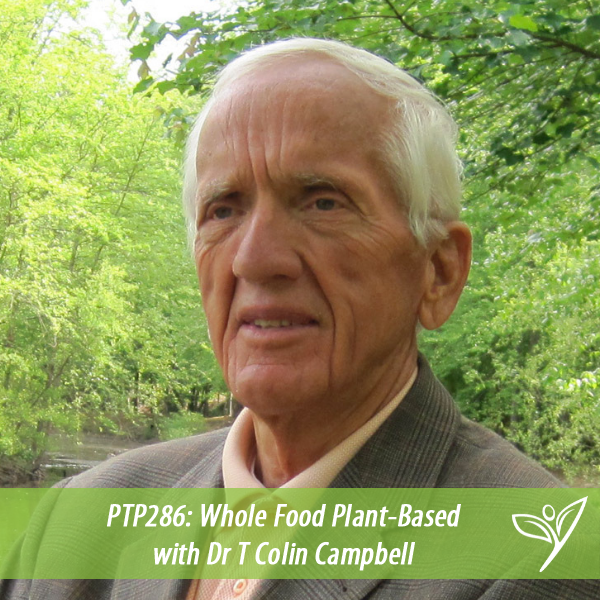 In this episode of The Plant Trainers Podcast, we talk with a man who needs almost no introduction, Dr. T Colin Campbell. He is best known for writing The China Study with his son Dr. Tom Campbell who was on the podcast in episode 131 and, of course, we took his course when we first became emerged into plant-based living. This show is really planned by you, our listeners who were kind enough to comment on Instagram and Facebook to share your questions. We talk about cancer, allergies, autoimmune disease, ketosis, osteoporosis, oils, and fat. We needed to soak in as much as we could from this legend and we want you to do the same. Please share this with those you love..or even like a little!!! 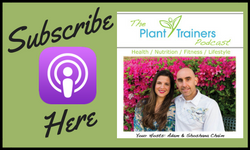 Find us on Facebook or Instagram @planttrainrs and leave a comment about what you liked the best in this episode. T Colin Campbell, PhD has been dedicated to the science of human health for more than 60 years. His primary focus is on the association between diet and disease, particularly cancer. Although largely known for The China Study – one of the most comprehensive studies of health and nutrition ever conducted and recognized by The New York Times as the “Grand Prix of epidemiology” – Dr. Campbell’s profound impact also includes extensive involvement in education, public policy, and laboratory research. Throughout his career, he has confronted a great deal of confusion surrounding nutrition and its effects. It is precisely this confusion that he has focused so much on, in recent years. Dr. Campbell co-wrote The China Study: Startling Implications for Diet, Weight Loss and Long-term Health, which has sold more than 2 million copies worldwide. He is also the author of the The New York Times bestseller Whole, and The Low-Carb Fraud. Several documentary films feature Dr. Campbell and his research, including Forks Over Knives, Eating You Alive, Vegucated, and PlantPure Nation. He continues to share evidence-based information on health and nutrition whenever given the opportunity. He has delivered hundreds of lectures around the world and he is the founder of the T Colin Campbell Center for Nutrition Studies and the online Plant-Based Nutrition Certificate in partnership with eCornell. Is a plant-based diet for everyone? Can a plant-based diet make you sick? Ketosis even when plant-based…yay or nay? I loved this episode so much! Thank you for inviting such a wonderful guest. I love the way he speaks and how passionate he is about bringing out the Truth of his research and life experience. That’s awesome to hear…thanks for listening to the show! I still do not understand if plant based keto is ok or not and if not why so? It’s a good question Irina that we will explore further in an upcoming podcast with Dr. Joel Kahn…stay tuned!